Where does the Thai cat come from? THAI cat and SIAMESE cats have the same roots. The Thai cat is the traditional and original Siamese cat. 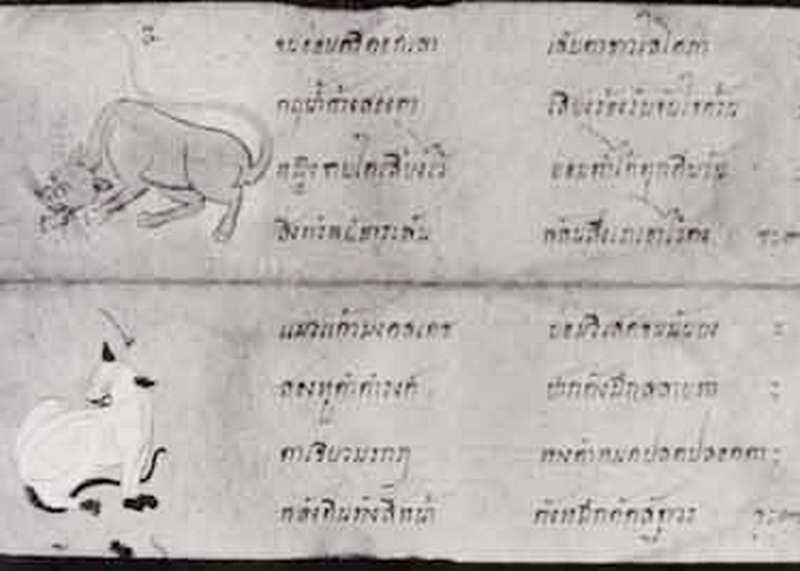 The appearance of Siamese cats was first described in the world's oldest book about cats called "Poems of the Cat", published in 1330, currently owned by the National Library in Bangkok. The first mention of a Siamese cat in the province Pensa was published in a travel documentary by Peter Simaon Palls, a German nature and geographic explorer and discoverer during his travels through the south of Russia and Siberia between the years 1793-1794. 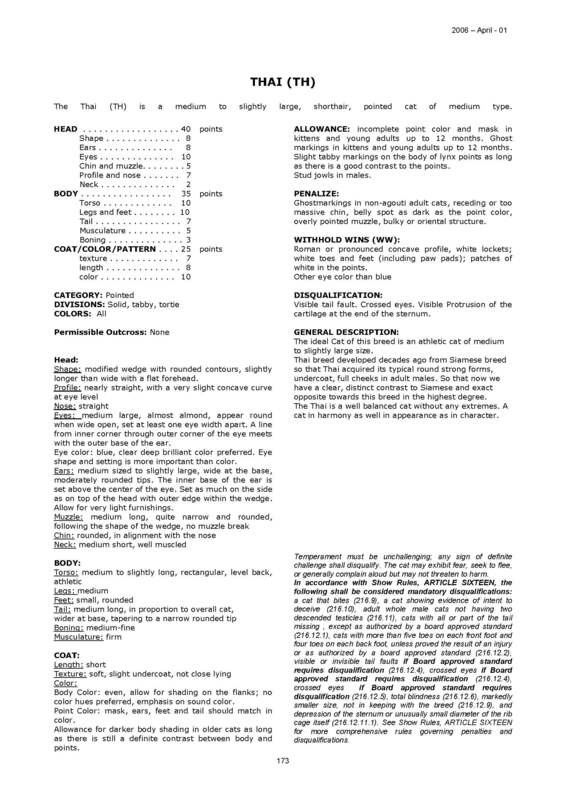 This description is for the time it was written very detailed and well observed. 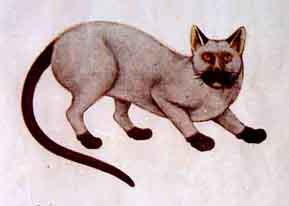 The eighth picture in the SMUD KHOI "Diamond - Siamese" "The upper part of the mouth, the tail, all four feet, and the ears, these eight places are black The eyes are reddish-gold in colour the cat called Wichianmaad has white fur." These originally imported Siames cats were, just like today's descendants in Thailand, of medium size, muscular, graceful cats with a moderately wedge-shaped head with long ears in proportion to the head size. These cats were never extreme in their appearance. 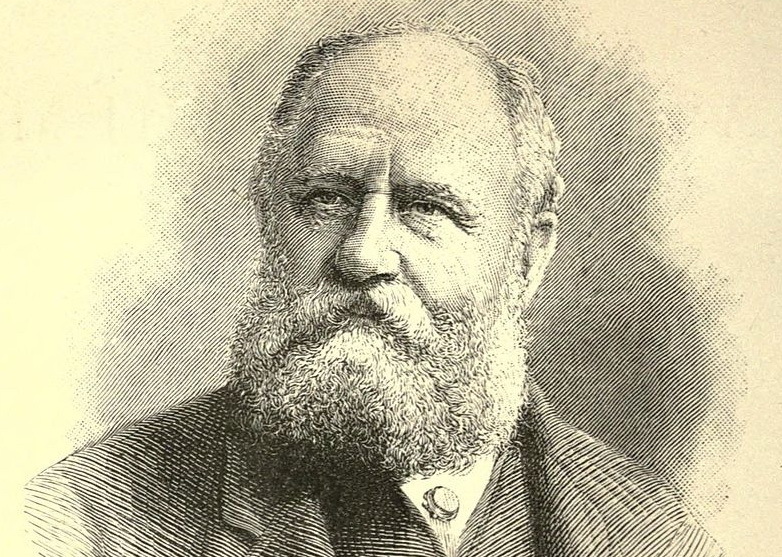 Harrison Weir is known as the founder of the modern breeding of cats, organized in 1871 the first exhibition of cats in London. 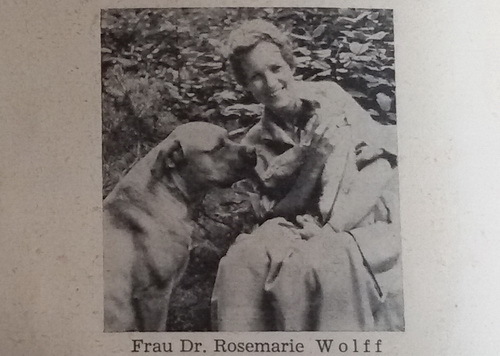 Weir was the first author to write the breed standard for Siamese cats in 1892. Soon after Mr. Gould brought the Siamese cats to Britain, they became instantly popular because of distinctive marks, cleverness and dog-like behavior. Some rude comments were heard too, such as „an unnatural nightmare of a cat” but, fortunately, most people were impressed. In their early days in Britain, all cats coming out of Thailand were called “Siamese”, regardless of color. Two types of those cats were the most prominent. The cream colored body with sharp defined points and notable blue eyes was called “Royal Cat of Siam” or “Palace cat”, reflecting the legend that they were kept only in royal palace. 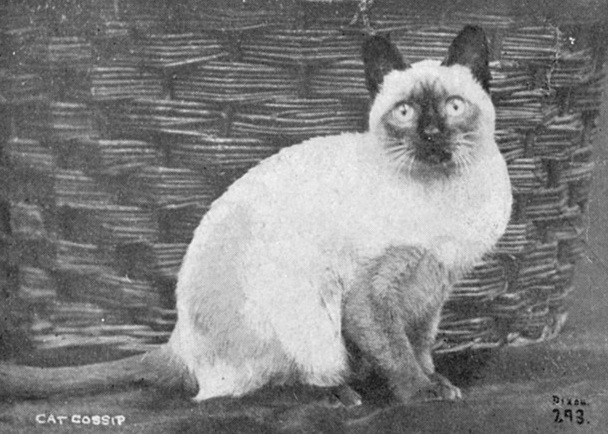 In 1892 the first standard for this breed was decided for the Royal Cat of Siam in the U.K. Wankee, born 1895 in Hong Kong, became the first UK Siamese champion in 1898. 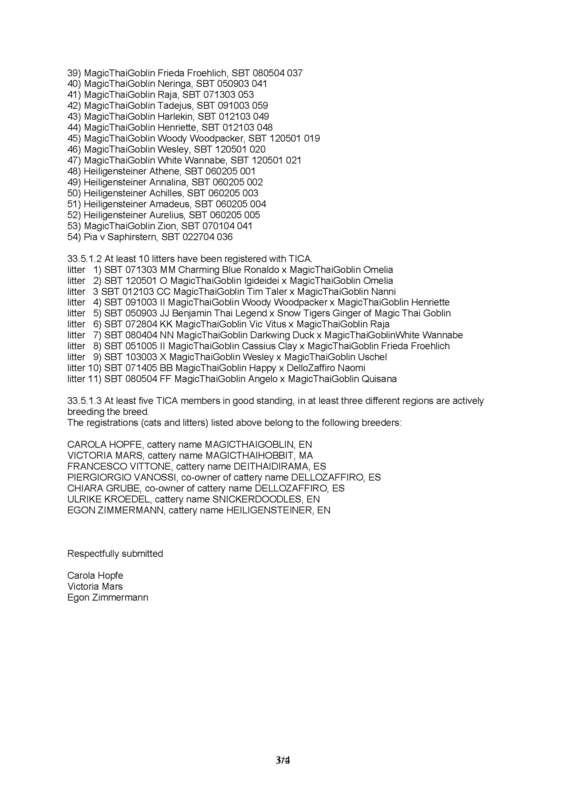 Besides direct imports from Thailand (then known as Siam), imports from Burma, Hongkong, Japan and even Tibet are listet. 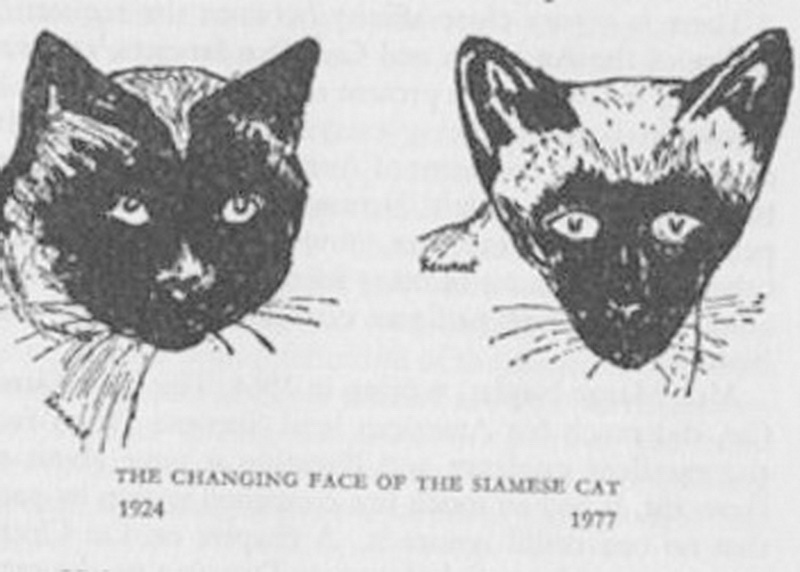 Already at that time a distinction was made between a round head type ("apple face") similar to today's Thai cats, and the type with an elongated face ("marten face") lighter in color. 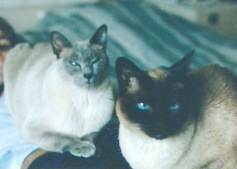 The latter type is now the basis for the modern Siamese breeds. 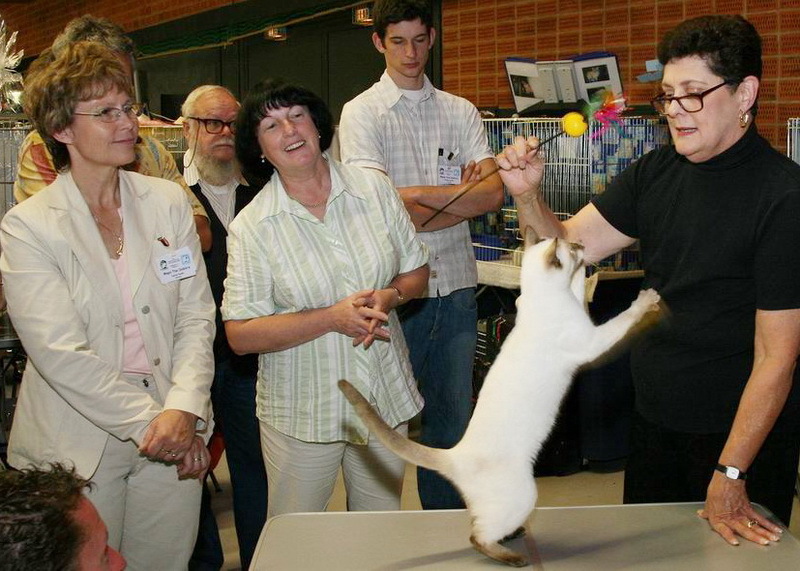 The new Siamese breeding standards are: extremely elongated body, strikingly long wedge-shaped head with a super thin whip tail resulting in very extravagant cats which have been awarded at many exhibitions. The more rounded traditional type was nearly forgotten and did not get good grades at exhibitions, because it was deemed to be antiquated. But some breeders and enthusiasts, who did not agree with the new extremely slim line, continued breeding this type in secret, sometimes even without belonging to an organization of breeders. "About 25 years ago an exchange of cats with the eastern countries started and it was discussed, that the Siamese cat dating back to the 1970s looked Thai-like. Afterwards the Siamese cats became more and more elongated and slimmer. Especially the heads became very slim with an elongated profile. The ears became larger and the body was very slim and high-legged. Until the end of the 1980s Russia had a big enough breeding colony with the phenotype of the traditional Siamese Cat. 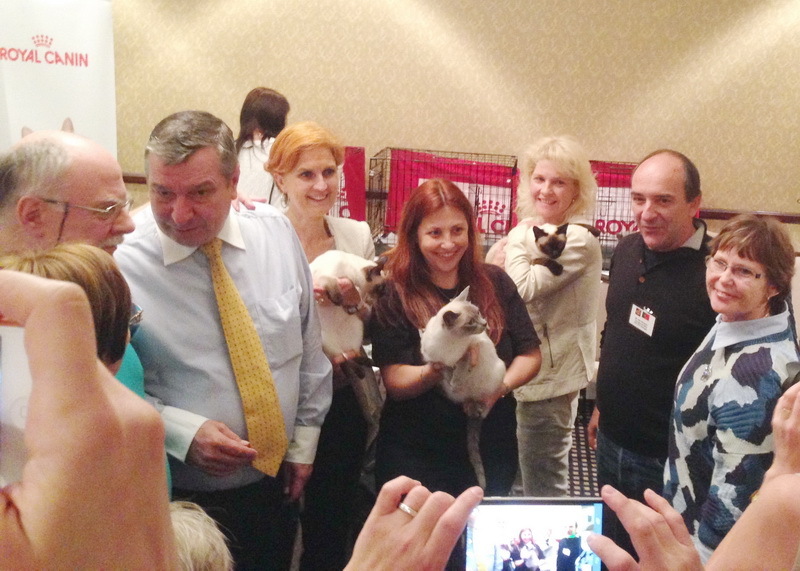 in the cat exhibitions in Moscow and Leningrad during the years 1987-1988 the “Siamese cat” was shown in the novice class under the breeding name “old-style Siamese”. 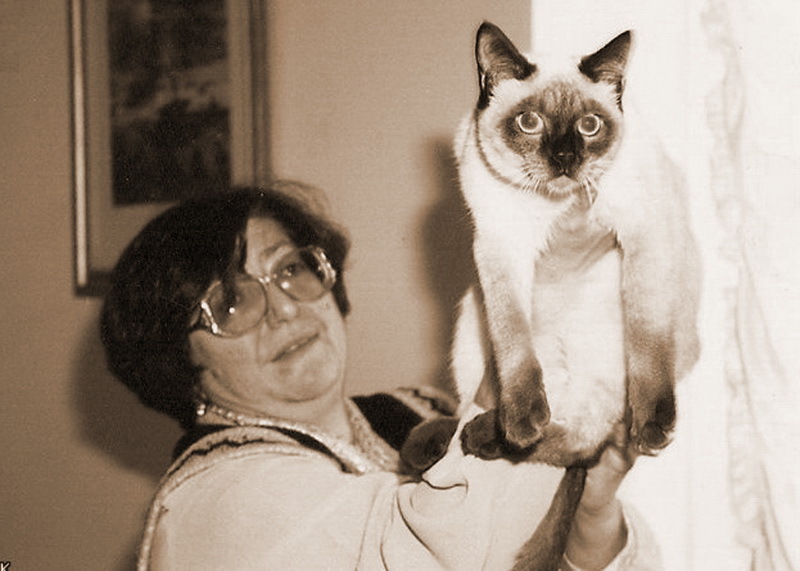 In 1989 the Russian cat club “Feliz” and the St. Petersburg Club “Kotofey” became part of WCF and invited the president Mrs A. Hackmann to visit the exhibitions. 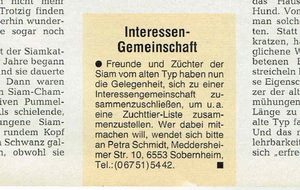 In 1989, after a call by the German journal "Ein Herz für Tiere" (12), German breeders founded a community called "Siam old-style", with the goal to achieve acceptance of the traditional Siamese type. 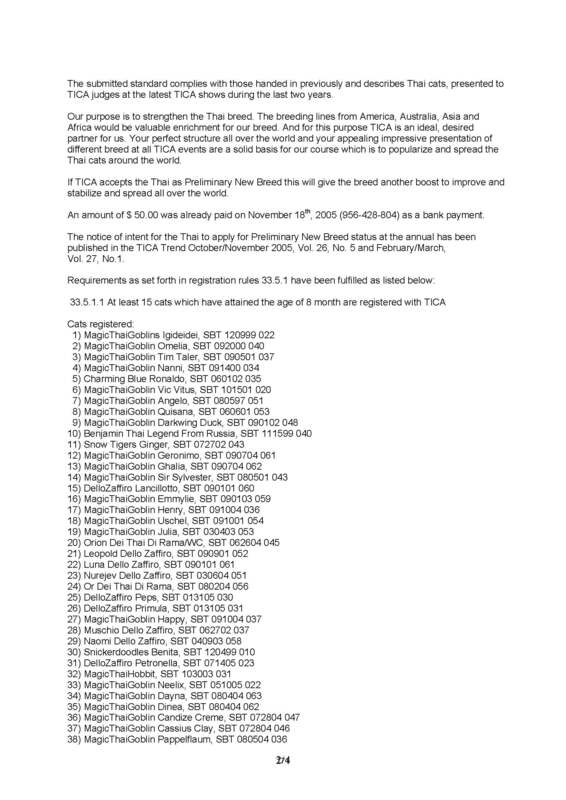 To reach acceptance a request was made through A. Hackmann by the cat association Deutsche Edelkatze e.v. at the WCF. 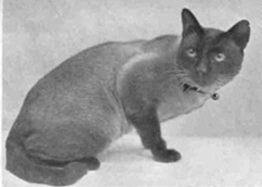 This was not easy, since a lot of Siamese cats of the old type, showed the right phenotype but at the same time already were old or castrated and therefore were not able to contribute to the continuation of the breed. 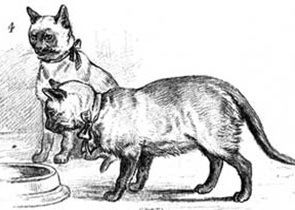 The breeders of the old-type wanted to split the Siamese cat breed into two types (old and new), but this suggestion did not get the approval of the breeders of the modern Siamese type. 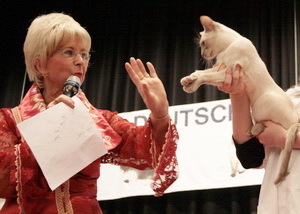 In 1991 the WCF passed new standards for the traditional Siamese cat, which ever since was called THAI. Since then this more rounded type of cat is bred as its own race widely accepted by different associations and organizations such as WCF, EGCA, WACC, LOOF, TICA and more recently it is fully recognized by FIFe. 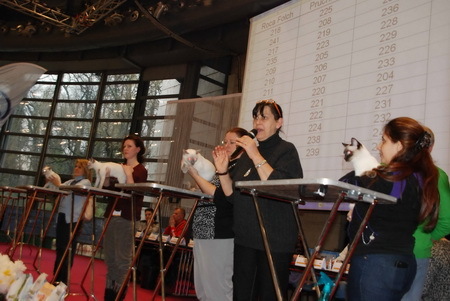 Official Presentation of THAI in February 2014 in Italy (Cernobbio) at FIFe – with some Cats of ITC members. 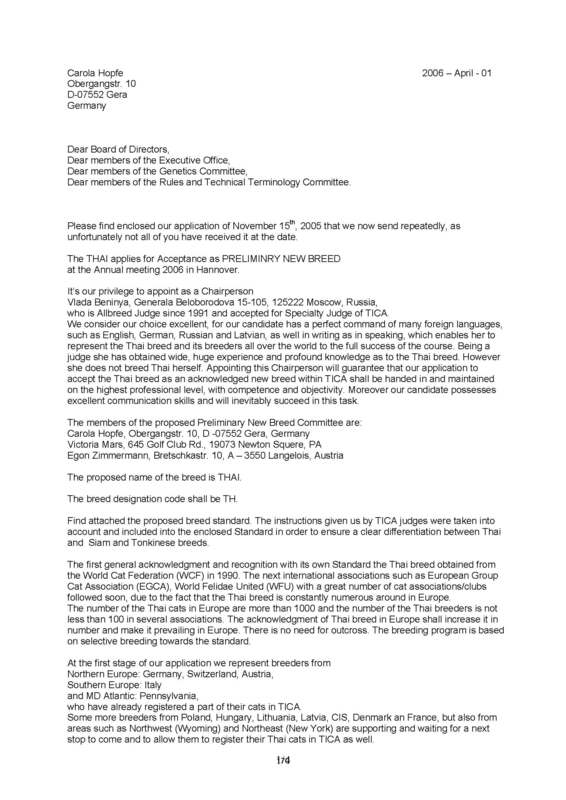 Thus, the application for the recognition of the THAI was submitted to the FIFe. 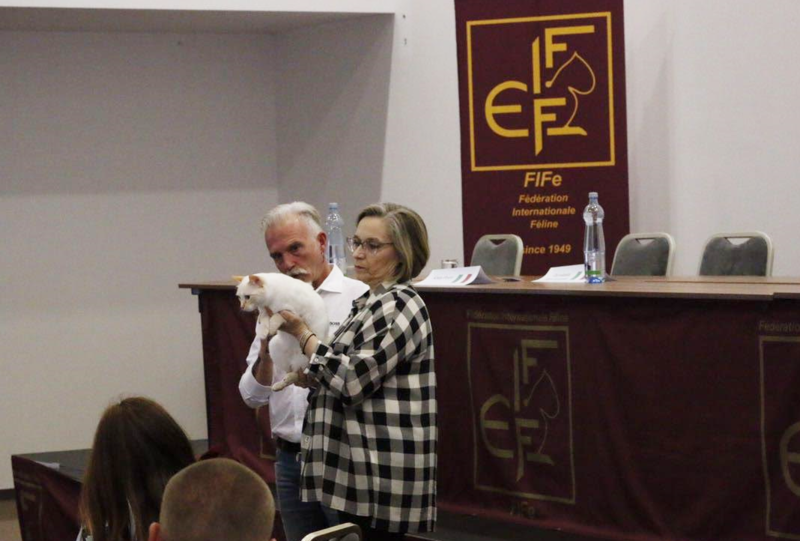 At the Annual General Meeting in May 2014, FIFe decided to provisionally recognize the THAI for the next five years. 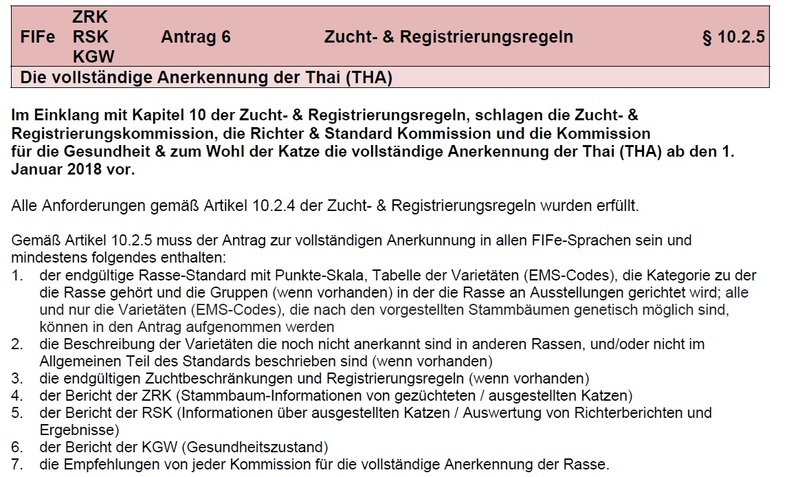 On May 26th, 2017 the THAI was awarded the full recognition by FIFé. 2004 Recognition as new breed in EGCA e.V. (9) Memories of Anneliese Hackmann : many thanks to Svetlana Lalovic, president of the Club Le petit WCF, Belgrade, Serbia who made these notes available to us.